Discussion in 'SKyDews Illegal Aliens' started by Skydew, Mar 15, 2013. Each player can uniquely upgrade their character the way they want via powers and abilities. For example, you could upgrade your player to pickup enemies or objects, and use them as a shield, or toss them at foes to knock them down. 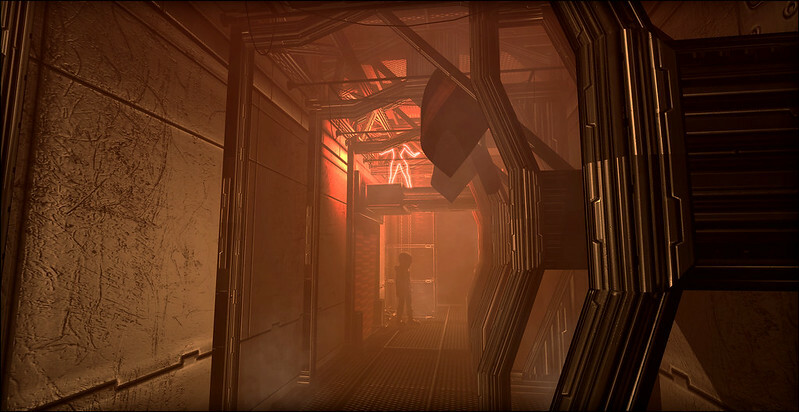 In Illegal Aliens, players can explore outer space with no invisible boundaries. Fly where you want whenever you want. 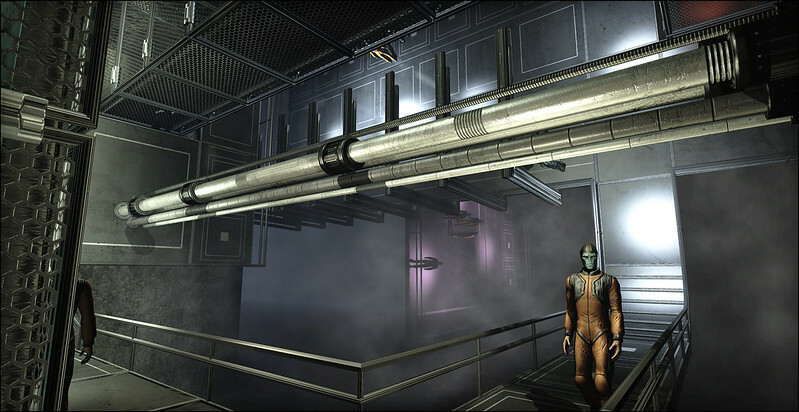 Players can either walk around or fly the ship, while in spaceflight. 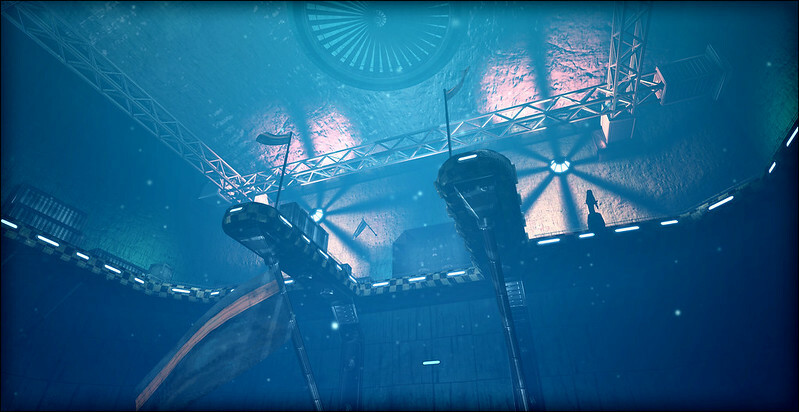 Players will also fly from space to land with no load zones. Allowing for the ultimate spaceflight immersion experience. Illegal Aliens throws players into a world full of Interaction, not just a run and gun shooter. You will explore new locations on your adventure, along the way you will meet new aliens that you decide whether to help or not. Illegal Aliens has a high focus on player choice. Complete objectives in an aggressive or tactical way. Ultimately it's up to you and your friends how you want to play the game. Illegal Aliens has many innovative gameplay mechanics. In Illegal Aliens, players can walk on walls, solve puzzles, and team up to fight bosses. We wanted to allow as much player interaction as possible, ranging from the items and vehicles you can use, to the way you explore the environments. Experience the game through the eyes of your player, allowing you to see your characters actions as you perform them. Letting each player feel as if they are there, first hand, experiencing the adventure. 8983689, Rip Cord, Nighthawk and 2 others like this. What software are you using for designing the charactors, and levels. And i see in the trailer that some off the levels are kind off 4D so to speak , the way you can walk on upside down, wanna tell little on that topic. Great question Storm! The characters and levels are mainly designed with 3ds max and collaborated on the Unreal Engine 3. We wanted players to experience the game from many different ways, one way being the change in gravity. It adds another dimension to the game making the player think on a whole new level. Players will have lots of fun and mind boggling puzzles to solve in the process. Do you have any plans from here? If anyone has any ideas for a unique name for the game post it here and we will consider it. If we choose your name we will list you in the credits for coming up with it. Anyway I would like to say thanks to everyone who backed the project. We feel people will really enjoy this game once they get to play it. Gh0st, Nighthawk and storm shadow like this. Hmmm, I'll try and think of a, erm, 'mainstream-friendly' name if my brain allows me to and if I do, I will post here. i've got a question .... will the third person view (if there will actually be one), have... will it automatically move around? just wondering..
Hey everyone! Sorry for the late replies. NightHawk and Blue Djinn those are both excellent ideas for a new name, thank you for the suggestions! A ton stuff has been going on the past couple months. Illegal Aliens the game is on hold for now. I've been working on a new smaller game for the Unreal Engine 4. No title has been set in stone yet. But I am porting a lot of the code I wrote from Illegal Aliens to UE4 for this game, so hopefully you will see some similarities you like in this game. I only been working in UE4 for a couple months so its still a really early build, but you can check out these two videos if your interested. The game will be a team vs team multiplayer game consisting of probably 3 maps on release. But I am planning on releasing the games content so anybody that wants will be able create there own maps via the UE4 editor. Nighthawk, Gh0st, storm shadow and 1 other person like this. Here the latest video showing off the two handed weapons and jumping. Nighthawk, Gh0st, Rip Cord and 1 other person like this. Thats an cracy 3d world . When you can walk on all 4 dimensions, does that effect game size or does it just effect rendering time. I have the programming for the wall walking code pretty well optimized, there is no noticeable performance difference with it on or off. The reason you don't see this ability in most other games is because programming it in is not exactly easy, haha. Thanks for the comment Storm! this_sucks_nigga and Nighthawk like this. haha yeah i can imagine that one would step into alot off frustation.